A super simple fall sensory bin for toddlers and preschoolers using soap foam and leaves. Have the leaves started changing colors where you live? Ours definitely have! We don't quite have red and orange colored leaves yet, but soon we will. 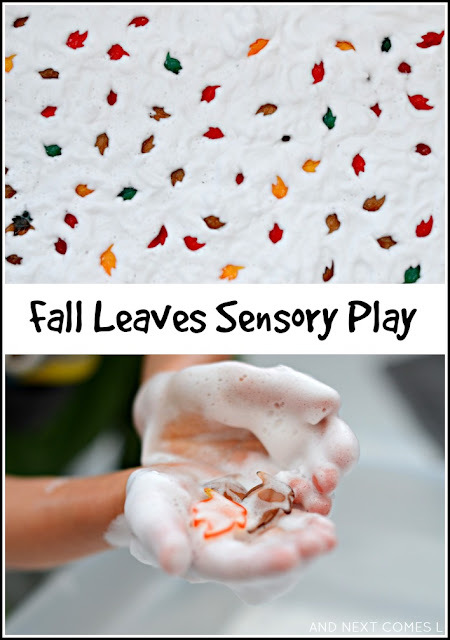 To capture the lovely fall leaf colors, I put together this simple messy sensory activity using soap foam. But really, it's just an activity I did to trick my youngest into doing something he often resists. Find out what it is!